Performances are set for Dec. 16, 18 ad 19. 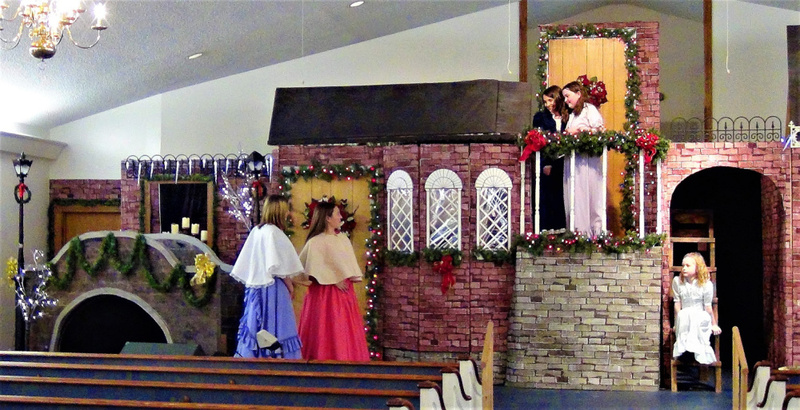 FARMINGTON — “A Victorian Christmas,” a program of music and drama set in the late 19th Century, will be presented at 7 p.m. Friday, Sunday and Monday, Dec. 16, 18 and 19, at the New Hope Baptist Church, 268 Perham St. The cast, choir and crew members of this production have been working for several months to create this family-friendly event. Two short dramas will be interspersed with familiar carols and other musical selections in vocal and instrumental renditions (piano, trumpet, flute, bells and penny whistle). The set will portray a detailed street taken from life in the Victorian era. The program is free and open to the public. For more information or a ride, call 778-9696.